RSVP for your workshop by clicking the button below. No workshops in your area? Let's change that! We are currently booking workshops on the West Coast of the USA. If you know of a bike shop, bike collective or a community organization that would be interested in hosting a workshop, please get in touch! Ask Vie Cycle to come to your area or host a Vie Cycle workshop in your workspace. 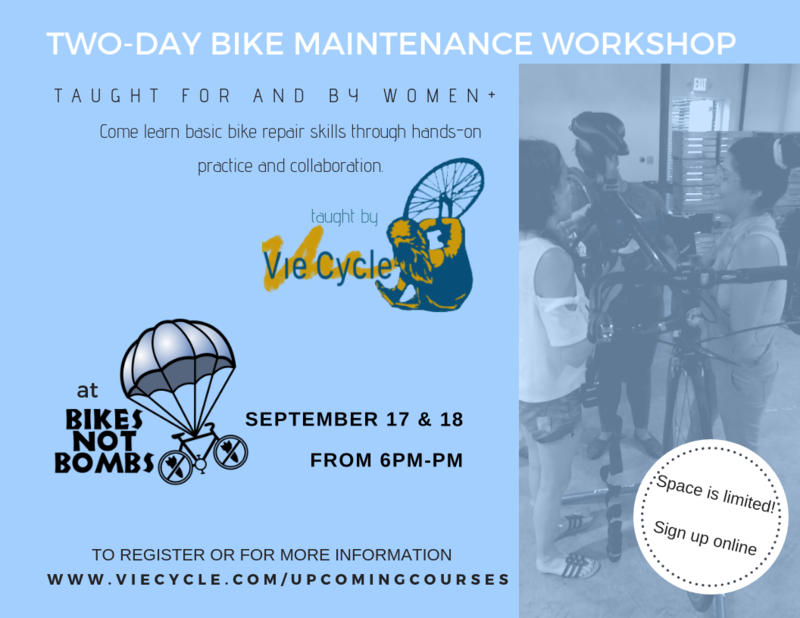 Click to see all of Vie Cycle's past workshops!